DAISY, THE QUILT THAT STARTED IT ALL! 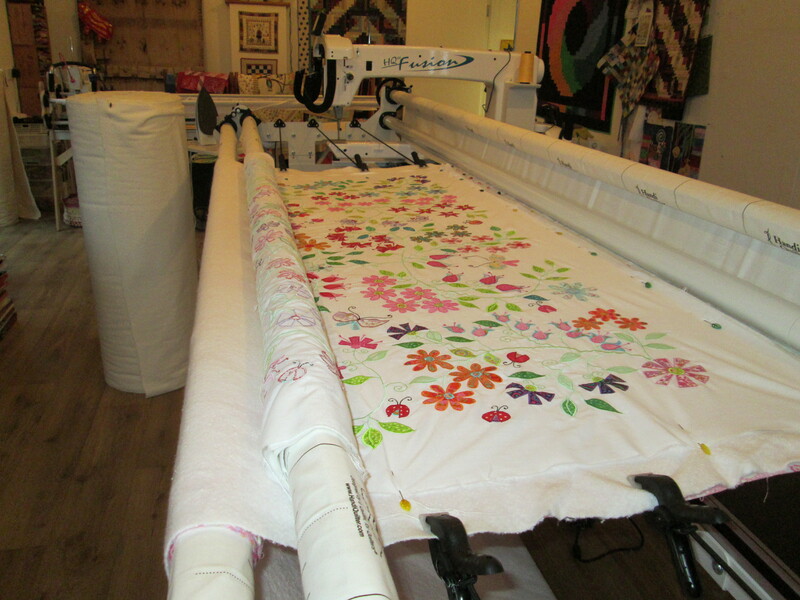 This quilt ,a design by Kellie Wulfsohn, is the quilt that made me really want to take the next step from mid – arm quilting, I spent months machine appliqueing and embroidering the flowers, leaves and stems on to the background. 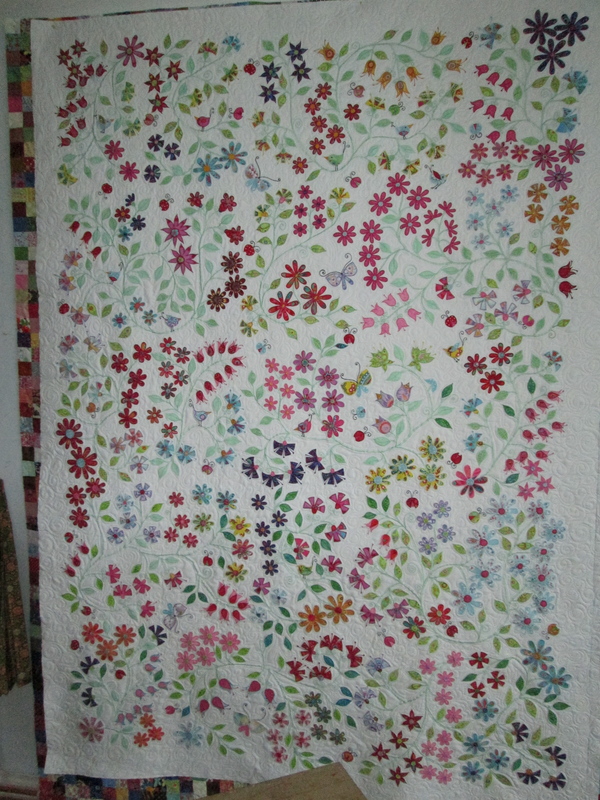 There was no way with the limited space on the mid – arm was going to be able to quilt around all the flowers and stems I also did not want to go back to quilting it on my domestic machine. 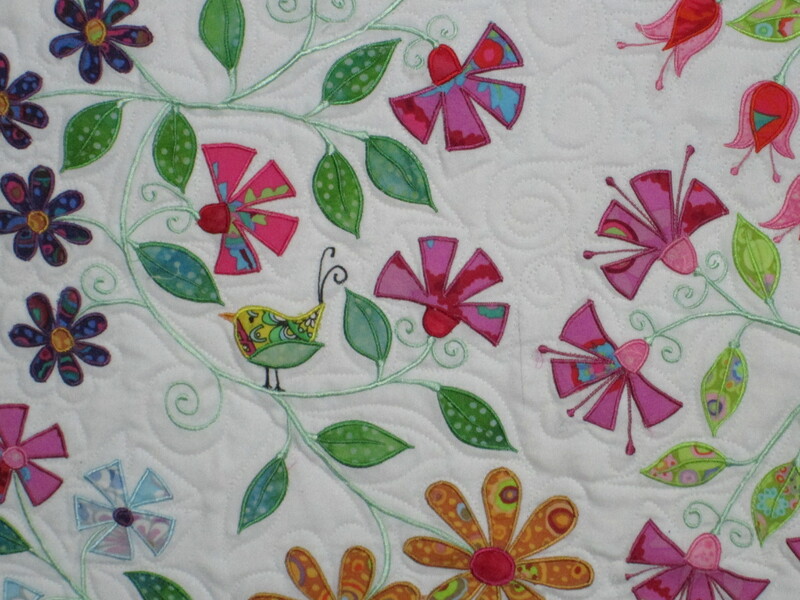 I used nice bright white batting as the white background of the quilt is white muslin and a cream batting would have dulled the white, I did a swirly pattern with bright white thread and outlined the leaves. I was so nervous quilting this top and it took me a long time. 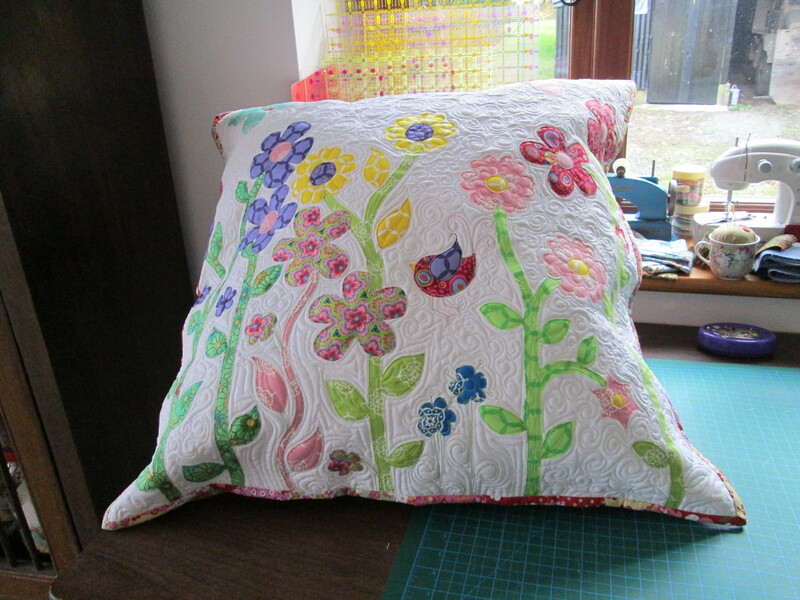 But it was worth it, I love the look of the quilt but most of all I love the feel of it, its very soft, I splashed out and used a pink Kaffe Fasset backing. Below is a pillow I practiced on before I attempted the quilt. 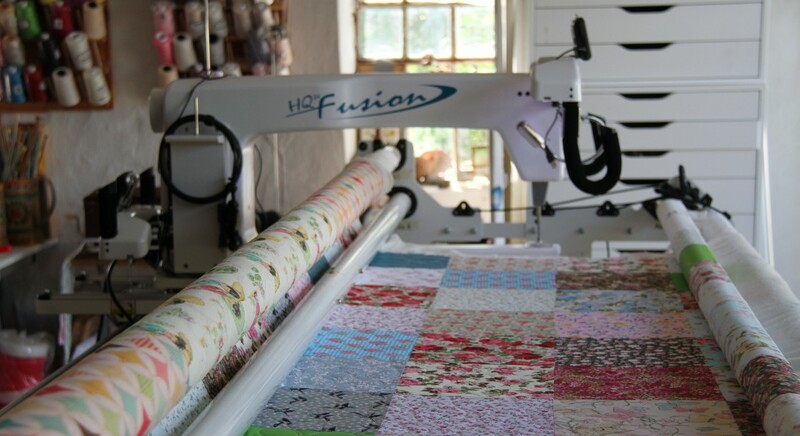 I hope you will drop by from time to time to check out my machine quilting adventures with Daisy.